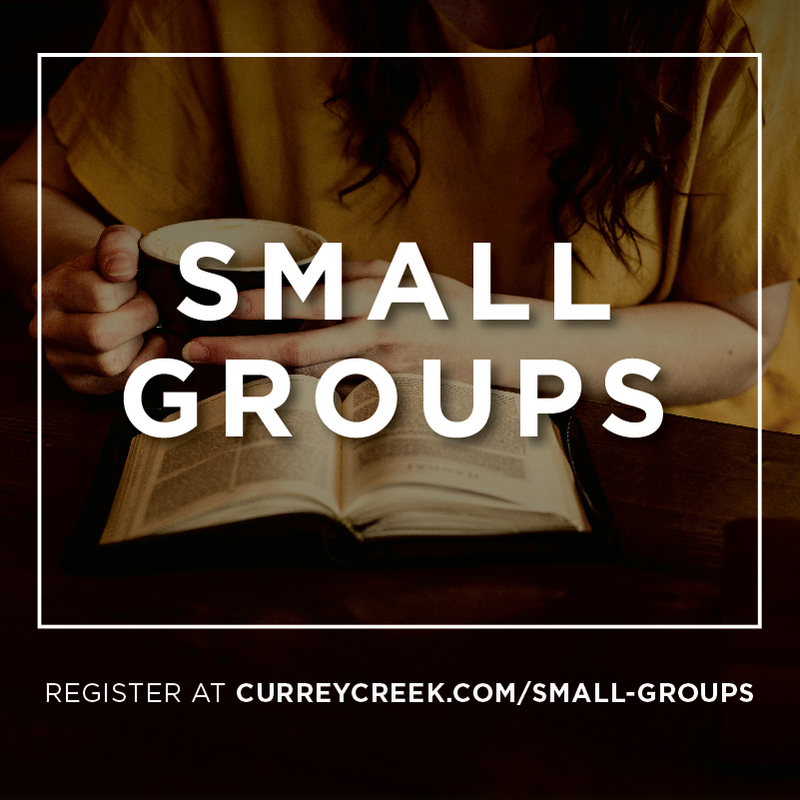 Currey Creek Small Groups is a ministry for adults who desire to grow in their relationship with Jesus as well as grow in community with other believers. The purpose of the ministry is the same as that of the church. Our desire is to exalt God, to engage the culture, and to enrich the Christ follower through the small group ministry. We want every group to spend time in prayer, praising the Lord for life and for freedom to study His Word. We also desire for groups to be engaging and inviting to outsiders who are looking for authentic community. Lastly, we desire for the small group members to be enriched by the study of God’s Word. Creek Institute Small Groups: Creek Institute Small Groups offer sermon-based groups at church from 4:30-6pm starting Sunday, January 13, 2019. Childcare (Birth-5th Grade) will be provided with online registration and payment by check, cash or credit card of a $20.00 fee per family per semester. Five groups meet each Sunday through May 5th, with the exceptions of March 10 and 17 (Spring Break) and April 21 (Easter Sunday). To register, please click here! Adoptive/Foster Parents Small Group: Our sixth Creek Institute Small Group is tailored for Adoptive/Foster Parents. Started in Fall 2018, it is led by two Foster/Adoptive families and is available again this coming semester. Note: Each semester requires a new registration. To register, please click here! Home Groups throughout Boerne and the Surrounding Areas: Various locations/days/times. Contact us at groups@curreycreek.com to be placed in one of our 15 home groups. Serve by volunteering to lead or assist in a small group. Our weekly small group questions can be found on the Sermon page.